Voices for the Library are appalled by reports that Manchester City Council have banned homeless people from using the city’s main public library. This move by the Council is contrary to everything a public library service stands for and undermines much of the good work library services do in making libraries inclusive places where all are welcome to access information without fear of discrimination. If true, and we have no cause to believe that it is not, this is a very disturbing and destructive move by the Council and we urge them to end this vicious and discriminatory ban. Public libraries offer a service to everyone, without discrimination. This is a fundamental principle of a public library service. Manchester’s abandonment of this principle is a shocking betrayal of this principle. We urge Manchester City Council to not only rescind its ban on the homeless, but to work with them and repair the untold damage this move has caused. This is not what public libraries are about. Manchester City Council should be ashamed. This entry was posted in statements on May 6, 2015 by Voices for the Library. Do you have any examples of good practice where libraries have taught digital skills? What are your thoughts on using libraries as centres through which we can tackle digital exclusion? Do you have any examples of good practice in co-location? What services might be co-located? Is this something with which you agree, and what would you like an amended framework to look like? Is Arts Council England the right body to carry out this work? Have your local libraries had support from ACE and in what capacity? Do you feel there needs to be an independent professional leadership body? What form would this take? What do you feel is the role of the British Library in supporting public libraries? The Welsh Government recently released an updated public library standards document. What are your views on the document and do you believe adopting a library standards framework is desirable in England? What do you think the right specification for volunteers might be? Should there be a code/codes of practice for unpaid work? How can library workers be given a say in the running of the service? What functions do you think could be shared? What potential savings could there be? Do you have any examples of good practice? Please do send in your views by 30th June and let Helen know your thoughts on how the public library service should be delivered. This is a real opportunity to try to influence party policy on the issue and the more people who engage with the consultation the better. The full briefing document can be found here (with thanks to Public Libraries News). This entry was posted in statements, Uncategorized on June 10, 2014 by Voices for the Library. This morning the Telegraph published a story quoting a claim by Terry Deary that it would be a “hell of a lot cheaper” to give “the poor” Kindles rather than fund public libraries. This isn’t the first time Mr Deary has launched an attack on public libraries, back in February he caused outrage with his comments about libraries and the ‘damage’ they do to the book industry. So, how does Deary’s suggestion hold up under scrutiny? Well, not very well. Let’s start off with the number of people who would benefit from Deary’s plan. One group of people that would be hardest hit by library closures would be the group of people who do not currently have internet access. The closest we have to determining how many people fit into this category are the quarterly figures published by the Office for National Statistics. According to their latest release, 7 million adults have never used the internet. That’s never used. The figure for those who do not have access will, obviously, be much higher. So, it’s fair to use that 7 million figure as a starting point. Then we need to consider costs. How much will each part of Deary’s plan cost if we were to go ahead with it. First of all, we need Kindles. A bog standard Kindle from the Amazon website costs £69. But Kindles need a wifi connection to enable people to download books (exclusively from Amazon by the way, which would make this a money-spinner for them if we total up all the costs). Costs for a broadband connection vary of course, but £20 per month seems to be a fair figure. So, over the course of a year, broadband access would amount to around £240 (or thereabouts). And if Kindles are being gifted by the state, the broadband access fee would need to be paid for on an ongoing basis until those in receipt of it will be in a position to pay for it themselves (we could get into the bureaucratic costs this would incur, but let’s keep it simple). We could also factor in the cost of the books plus the cost of a replacement Kindle every couple of years (not to mention that families might need more than one – one for the children and one for the adults), which would obviously significantly increase the costs, but let’s stick with one Kindle per adult to cut Deary some slack and make it as cheap as possible. 7,000,000 (people who have never used the internet) x £69 (cost of the Kindle) = £483m as a one off cost. 7,000,000 x £240 (cost of broadband connection per annum) = £1,680,000,000 per annum. In year one of Deary’s plan then, the cost to the taxpayer would be £2.2bn (adding together the two figures above) followed by an annual cost of £1.7bn (broadband connection fees for 7m people). This is just the cost at a very basic level, stripping out all the other costs that might be associated with such a scheme (training, bureaucracy etc etc). So how does this stack up with the cost of public libraries? According to the latest statistics, public libraries cost approximately £963,284,000 per annum or £0.96bn (that’s net expenditure – total expenditure is £1,049,922,000 or £1.05bn). When we compare that with the costs of the Deary’s plan, the cost of libraries is substantially cheaper. In fact, funding public libraries is £716,716,000 per annum cheaper than the annual cost of providing broadband (£1,680,000,000). Would it be “a hell of a lot” cheaper to give everyone who needs it a Kindle and close down all public libraries? Clearly not. Perhaps this is a case of Mr Deary once more engaging in a bit of mischief making to get his name in the newspapers. We wouldn’t like to say. However, it is clear that replacing public libraries with Kindles would not only cost significantly more, it would do substantial damage to our society. As well as borrowing books, many people, thanks to this government’s reforms, rely on their public library to provide free internet access and enable them to search for jobs (via Universal Jobmatch). You cannot search and apply for jobs on Universal Jobmatch using a Kindle and with no public libraries to rely on. Terry Deary may argue that he is not suggesting all libraries should close and that we should keep some open. If that were the case, the cost of his plan would run into several billion pounds (if the two were run in parallel). The fact of the matter is that, despite his claims, it would not be cheaper to provide free e-readers. Perhaps given that his plan costs significantly more than that required to fund public libraries, he might like to argue that public libraries should receive more funding so they can embrace the ‘electronic age’ to the extent that he appears to desire. We won’t hold our breaths. This entry was posted in statements on November 15, 2013 by Voices for the Library. Literacy standards are falling, so why are we closing libraries? Today’s report by the Organisation for Economic Co-operation and Development (OECD) makes for depressing reading about the state of numeracy and literacy in England (Scotland and Wales weren’t subject to the study). The report was based on the first skills survey conducted by the OECD and paints a pretty bleak picture with England far behind nations such as Japan, Korea and Germany. … in England and the United States, the literacy and numeracy skills of young people entering the labour market are no better than those leaving for retirement. England ranks among the top three countries surveyed for literacy skills among the 55-65 year-olds. But the country is in the bottom three when it comes to such skills among 16-25 year-olds. American 55-65 year-olds perform around the average, but young Americans rank the lowest among their peers in the 24 countries surveyed. There is clearly a substantial problem that requires urgent attention if the levels of literacy are such that England lies in the bottom three of all countries surveyed. We fear, however, that improvement in this area is a long way off. Libraries, both school and public, can play a vital and important role in addressing the standard of literacy amongst the young. Libraries play a key supportive role in many children’s development, but this supportive role is becoming increasingly difficult as funding is cut and libraries are closed. This is not to say that libraries are the magic bullet to cure low levels of literacy, but it is undeniable that they can play a key role. Well stocked libraries staffed by knowledgeable professionals who are able to support and understand the educational needs of children can play a key role in ensuring high levels of literacy amongst the next generation. 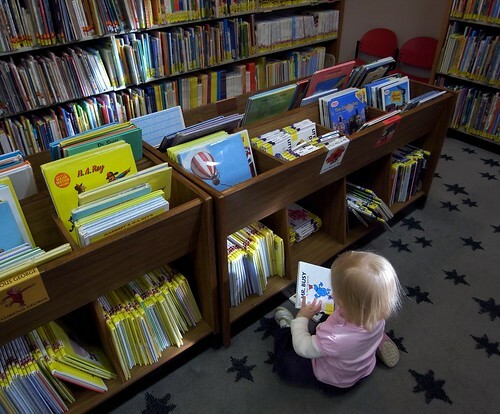 As research by the National Literacy Trust has previously shown, children who use the library are twice as likely to be above average readers. If we want to improve literacy levels, libraries must be central in the drive to achieve this. Of course, the central problem at the heart of government is a lack of joined up thinking. Lack of joined up thinking because if the Department of Education and the Department for Culture, Media and Sport worked together, libraries could be an integral part of the drive to improve literacy. The positive impact they have on improving children’s literacy has already been well established, we need to build on it and ensure they play a key role, alongside schools, in raising standards. But first both Gove and Vaizey need to take action to prevent the destruction of our library services. School libraries should be made statutory immediately and must be staffed by a trained librarian. A trained school librarian can do so much to improve literacy skills and support the drive to raise standards across the school. Likewise, the slow, steady destruction of public libraries should be halted, again immediately. Ed Vaizey has it within his power to prevent any further closures and ensure that local authorities meet their obligations. But not only should closures be prevented, the deprofessionalisation of library services should also be halted. It is not good enough to allow local authorities blackmail local residents into running their local library in their spare time. Our children deserve better than that. They deserve knowledgeable professionals who can support them and help them to develop their literacy skills. They deserve the support and guidance that previous generations expected of their library service. Of course, it may well be that neither Gove or Vaizey are serious about addressing levels of literacy in this country. They may well be content to allow a generation to have lower literacy and numeracy levels than the one that preceded it. We, however, should not tolerate it. Libraries have played a key and important role in raising literacy standards over the decades. The mechanisms are available to address our poor literacy standards, the question is, will Gove and Vaizey choose to use them, or will they believe that poor literacy standards are a sacrifice worth making on the altar of austerity? This entry was posted in statements on October 8, 2013 by Voices for the Library. Voices for the Library broadly welcomes the “Independent Review of E-Lending in Public Libraries in England” written by William Sieghart, Chair of the Review panel. We hope that this report paves the way for greater collaboration between library authorities, publishers and other interested parties, as well as reinforcing the crucial role libraries must play in our digital future. The lending of ebooks should be a service provided free of charge. Library members should be able to borrow digital books from their libraries remotely. 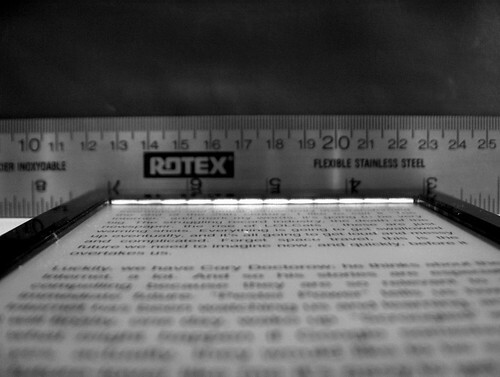 Each copy of a digital book should only be loaned to one reader at a time. Digital copies should be “deemed to deteriorate”. The Public Lending Right (PLR) should be extended to cover digital, audio and e-audio books. In submitting our evidence to the Review panel, we argued strongly that ebooks should be offered free of charge to library users. 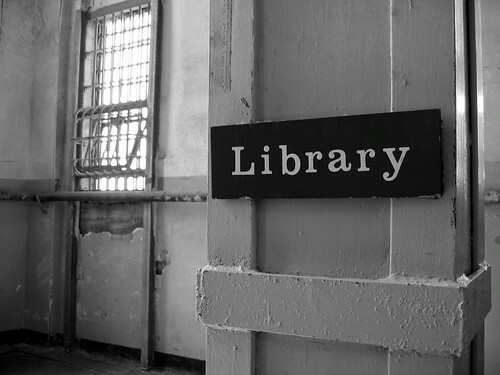 The core ethos of a public library service is ensuring free access to information for all. With this in mind, charging for the lending of ebooks was contrary to this core belief. Ebooks should not be treated any different to print, particularly as there is little evidence to suggest that providing free access has an adverse impact upon ebook (or book) sales. We also argued strongly that ebooks should be available to download remotely. Ebooks provide a great opportunity to reach out to those who are unable to access their local library, particularly the housebound. Ensuring that ebooks can be downloaded remotely ensures that the housebound are empowered to borrow books without having to utilise a surrogate to make their choices for them. As a result, remote download has the potential to level the playing field in terms of access to information for the housebound and the regular library visitor. We also accepted that each copy of a digital book should only be loaned to one reader at a time. It is reasonable to require that libraries purchase multiple ebook editions rather than one copy that can be borrowed by multiple users at the same time. To insist on the latter, in our view, would be unfair on publishers and book sellers and would, therefore, be an unreasonable demand to make. We also welcome the move to conduct further research in terms of ebooks in public libraries to gather more evidence on digital lending in the UK. We look forward to finding out more about the plan for publishers to work with the Society of Chief Librarians, the Arts Council England and The Reading Agency to establish a methodology to address the lack of evidence which will then feed into an agreed national approach for digital lending. However, whilst we accept many of the recommendations above, we do not accept the premise that digital copies should be “deemed to deteriorate”. This appears to suggest that an arbitrary number of issues (or time period) would be imposed upon the library authority, requiring a further purchase of a particular ebook. As our submission clearly set out, an arbitrary figure (like that proposed by HarperCollins in 2011) assumes that all printed book stock has the same life span and usage patterns, which is an unrealistic assumption. Overall, we are broadly supportive of the recommendations made in Sieghart’s report. Whilst we are disappointed that more of our recommendations weren’t adopted, we accept that they were perhaps too radical to be considered at this stage. We are pleased, however, that the recommendation we (and others) made to extend the PLR has been endorsed and we accept the majority of the recommendations made, despite our reservations about digital copies being “deemed to deteriorate”. We hope that this report paves the way for a constructive way forward and we look forward to greater co-operation between library authorities and publishers in the future. This entry was posted in press release, statements on March 28, 2013 by Voices for the Library. Yesterday the Society of Chief Librarians (S.C.L) announced the launch of four universal offers for public libraries , which will be “rolled out nationally across all public libraries in England and Wales.” These universal offers focus on reading, health, digital access and information – areas the SCL have indicated library users regard as key to public library service provision. Alongside these offers the S.C.L. announced a range of initiatives that libraries will also be encouraged to participate in. The announcement pulled together strands of work that the SCL have been working on previously with partners including Arts Council England and The Reading Agency. We would hope that these offers are extended to cover all aspects of public library services that users across the nation value and not focus solely on the four offers named above to the detriment of wider library service provision. Users benefit from libraries in such a variety of ways that other areas with less of a high profile should not be ignored. Although the universal offers are intended to be implemented by all public library services in England and Wales, they are not compulsory. The S.C.L. have indicated that 98% of local authorities have already signed up to these offers being delivered in their local area, which is very encouraging, but it is not universal. At the same time not all of these library services have signed up to all four offers. Only 80% out of the 98% have signed up to the information offer and less than half have signed up to the full digital offer. So, how many of our public libraries will actually be delivering all four offers and initiatives, and what is the reasoning behind those authorities who do not intend to do so? How will those that aren’t intending to be involved at the outset be encouraged to do so in future? If they are not willing, what will the implications be and will there be any sanctions against those library services who do not participate with initiatives that are intended as a step towards a national library service? With regard to delivery, will it be feasible to effectively support these initiatives in libraries with current levels of staffing cuts? Alongside this, the increasing removal of specialist information and reference staff will undermine any attempt to provide a universally high quality enquiry service in libraries. We also wonder how the universal offer will be implemented effectively now that so many libraries have been removed from direct local authority control – those that have been outsourced, privatised, or are volunteer led? Will this reinforce the divide in library provision that is emerging between libraries in different communities, based upon who is leading on the provision of that service? Furthermore, we hope that the focus of these universal offers and initiatives, alongside the SCL report on “The new super-users of Britain’s public libraries” will be useful in highlighting the continued importance of public libraries to those who do not currently appreciate their relevance. Finally, we are also keen to know if standards will be set out for measuring libraries achievements against these universal aims, and also how the aims of the S.C.L. offers and initiatives sit with current statutory duties and laws laid out in the Public Libraries and Museums Act and other acts of parliament linked to public libraries? Even though we have these questions and concerns, we still believe it is a step in the right direction by the Society of Chief Librarians and their partners and hope that it is something that will be developed and built on in the future as part of an appropriately funded and managed library service. This entry was posted in news, statements, team blog posts and tagged public libraries, Society of Chief Librarians on February 1, 2013 by VftL team. The release of the official view on community libraries has underlined our grave concerns about the future for public libraries in the UK, and the government’s intentions towards them. Whilst some of the contents come as no great surprise, we are deeply troubled by how this report will be interpreted by library authorities across England. According to the report, community libraries run by volunteers are a viable alternative to a service provided by paid and trained staff (both professional and non-professional). We simply do not agree with this conclusion. Volunteer libraries are not a sustainable long-term option and simply offer many councils a quick fix or a useful tactic to shift responsibility for providing the service from the council to the local community. Very often, this is done despite the local community’s preference for the service to be delivered by the local authority. In effect, this transfer of responsibility isn’t so much recognition of “the value of communities being more involved in the provision of local libraries” (as the report claims), but a way to play on the fears of the community by informing them that they either provide the service, or it will disappear. We believe that this report proves the opposite is true: localism is on life support. The will of the local population (for their library service to be provided by the local authority) is being ignored in the drive to cuts costs and shift responsibilities. Volunteer libraries are unsustainable because they rely on a pool of people who can provide the service in their spare time. Labour is not static. Volunteers will come and go (if they can be recruited at all) and libraries are in serious danger of closure if their pool of volunteers evaporates. As a result, there is a serious risk that expertise will be lost or compromised to ensure that the service can still exist. Finally, we have serious concerns that this report will pave the way for a two-tier library service. Those living in large towns and cities will have access to a professionally run, well-resourced library service. Those living in rural communities, unable to regularly commute to their nearest public library, will be left with a hollowed out service that is not fit for purpose. This division in service provision is, we believe, in contravention of the obligation to provide a “comprehensive and efficient” library service. For the communities, their local library will be neither comprehensive nor efficient. We believe these communities deserve better, even if Mr Pickles and the Arts Council believe otherwise. Overall, we are deeply disappointed in the Arts Council’s report and we are all too aware that library staff and users will be in despair at both their report and its endorsement by Eric Pickles. We also strongly believe that this poorly researched report underlines that, in its present form, the Arts Council is not a fit and proper body to support the delivery of library services, not least because of the severe reduction in staff available to provide that dedicated support. We still hope that true localism will prevail and the wishes of local communities, often blackmailed into providing library services, will be respected by both local authorities and national government. But our hope is diminished by the clear intentions laid out in the report and we fear greatly what this means for the future of our public library service. This entry was posted in press release, statements on January 23, 2013 by Voices for the Library.